According to Abraham Lincoln Online , other presidents had ignored such requests. Lincoln decided to act on her request and directed a proclamation be drawn up. 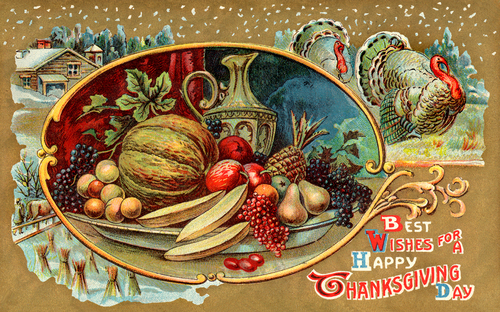 On 3 October 1863, President Lincoln’s proclamation that establishes Thanksgiving as a national day was issued. It sets aside the last Thursday of November as a “day of Thanksgiving and Praise to our Father who dwelleth in the Heavens.” Secretary of State William Seward actually drafted the proclamation which Lincoln signed. 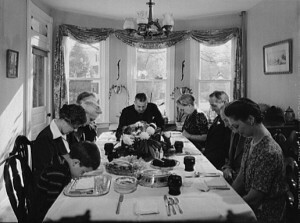 Thanksgiving became a national holiday and was celebrated on that date until 1939. President Roosevelt in 1939, 1940 and 1941 changed it to the third Thursday (to extend the Christmas season) causing considerable controversy. A joint resolution of Congress in 1941 resolved it by decreeing Thanksgiving would fall on the fourth Thursday of November. Lincoln’s proclamation was written during the American Civil War, a terrible time in U.S. history. Today we forget why this day was made a national holiday. It was to thank God for the blessings of liberty but also to ask his help. In our politically correct times, this proclamation is not always read in full or edited. So here is the original proclamation. Read it and understand why Lincoln thought a national day of Thanksgiving was needed for the United States of America. The year that is drawing towards its close, has been filled with the blessings of fruitful fields and healthful skies. To these bounties, which are so constantly enjoyed that we are prone to forget the source from which they come, others have been added, which are of so extraordinary a nature, that they cannot fail to penetrate and soften even the heart which is habitually insensible to the ever watchful providence of Almighty God. In the midst of a civil war of unequalled magnitude and severity, which has sometimes seemed to foreign States to invite and to provoke their aggression, peace has been preserved with all nations, order has been maintained, the laws have been respected and obeyed, and harmony has prevailed everywhere except in the theatre of military conflict; while that theatre has been greatly contracted by the advancing armies and navies of the Union. Needful diversions of wealth and of strength from the fields of peaceful industry to the national defence, have not arrested the plough, the shuttle, or the ship; the axe had enlarged the borders of our settlements, and the mines, as well of iron and coal as of the precious metals, have yielded even more abundantly than heretofore. Population has steadily increased, notwithstanding the waste that has been made in the camp, the siege and the battle-field; and the country, rejoicing in the consciousness of augmented strength and vigor, is permitted to expect continuance of years, with large increase of freedom. No human counsel hath devised nor hath any mortal hand worked out these great things. They are the gracious gifts of the Most High God, who, while dealing with us in anger for our sins, hath nevertheless remembered mercy. It has seemed to me fit and proper that they should be solemnly, reverently and gratefully acknowledged as with one heart and voice by the whole American people. 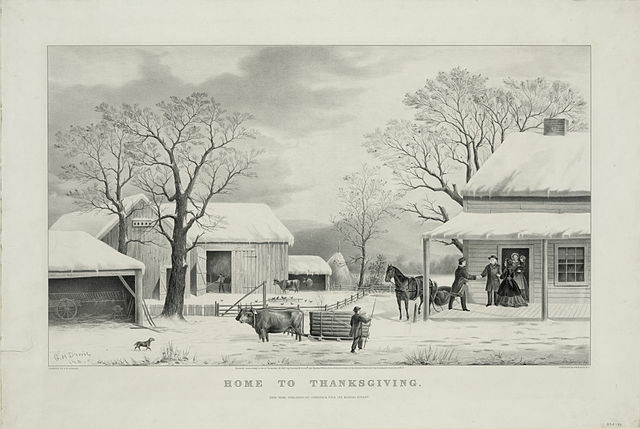 I do therefore invite my fellow citizens in every part of the United States, and also those who are at sea and those who are sojourning in foreign lands, to set apart and observe the last Thursday of November next, as a day of Thanksgiving and Praise to our beneficent Father who dwelleth in the Heavens. And I recommend to them that while offering up the ascriptions justly due to Him for such singular deliverances and blessings, they do also, with humble penitence for our national perverseness and disobedience, commend to his tender care all those who have become widows, orphans, mourners or sufferers in the lamentable civil strife in which we are unavoidably engaged, and fervently implore the interposition of the Almighty Hand to heal the wounds of the nation and to restore it as soon as may be consistent with the Divine purposes to the full enjoyment of peace, harmony, tranquillity and Union. Labor Day is a U.S. federal holiday observed on the first Monday in September. 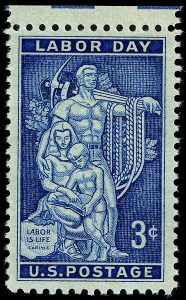 It became a federal holiday in 1894 to celebrate workers and their achievements. It has also become the “unofficial” end of summer as by this time schools have reopened and most summer vacations have ended. Both federal and state offices are closed along with schools. It is also a bank holiday as well and the stock markets are closed. However most retail stores stay open while most professionals (doctors,lawyers and others along with their support staff) get the day off.